WHAT!! 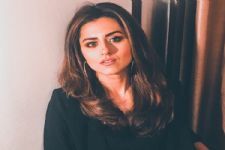 Raqesh Bapat and Ridhi Dogra are heading for a SEPARATION! Life's strange for fans as they relate so much with their favorite stars that every single event in their star's lives becomes a part of the fans'. We celebrate weddings with the same enthusiasm and our hearts shatter too when the marriage falls apart. Today, we woke up to this earth shattering speculation that Ridhi Dogra and Raqesh Bapat's seven year long marriage is falling apart. We have seen and admired the two on screen in Maryaada - Lekin Kab Tak? and Sony TV's Seven.The two fell in love on the sets of Maryaada and have been married for seven long years. Now as per the reports of an entertainment tabloid, the two are headed for separation. Their marriage was on the rocks for a long time and they are not even staying together anymore. The couple is contemplating separation as there seems to be no way their marriage is working out. A while ago an official statement from the two came and it broke the ground beneath. It read" Yes, we are living separately. This decision has been taken with mutual respect and care for each other and our families. We are two best friends who may not be a couple anymore. But our friendship will continue as it always has, through thick and thin. Appreciate if no further speculation is made and heartfelt gratitude to everyone for all the love you have always given us,"
Shocking right? However, Ridhi denied the rumors earlier and said that there is no truth to the gossips. But now this statement makes it quiet clear that both Ridhi and Raqesh are parting ways and they want to do it all in the most amicable way. 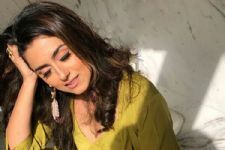 Look Who INSPIRES Ridhi Dogra! 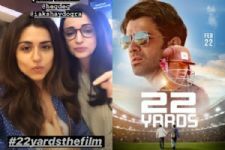 Sanaya Irani and Ridhi Dogra Give Shoutout to Barun Sobti's Film, 22 Yards! Shockingly sad... But sometimes something was always seemed different with them. Seems the show itself is jinxed..
Hope these two find peace..
Heart-wrenching quote by Raqesh "we still love eachother it's just the definition of love has changed"
What??? They seemed so happy with their mutual friends. Everything looked normal but no. Ah what? Like.. *sigh* This proves only they know the truth. Fans/Viewers would never know the real them behind the actor that they are. I wish them the best. Oh no...I love them together. It breaks my heart to hear about them parting. This is really saddening. Never expected the two to part ways. They made a perfect couple but hope they r happy in their respective space. #EXCLUSIVE: Ishqbaaz actress Navina Bole sprains her leg in final month of pregnancy! A Wild Card Entry In Super Dancer Chapter 3!